Texas Bus Company Caters to Fed-Up Air Travelers – StratGo Marketing. Plug-in marketing department services. You might think the bus transportation business – and bus operator marketing – are boring. That’s the wrong answer in Texas, where a new company offers a unique transportation option to fed-up Lone Star State travelers. Vonlane puts a smart-differentiation twist on the old-fashioned bus ride. It’s a reminder that when you think like an end-user, you may find a path toward commercially successful differentiation. Vonlane demonstrates, at least sometimes, that what appears to be a commodity product or service doesn’t have to be the same as everyone else. 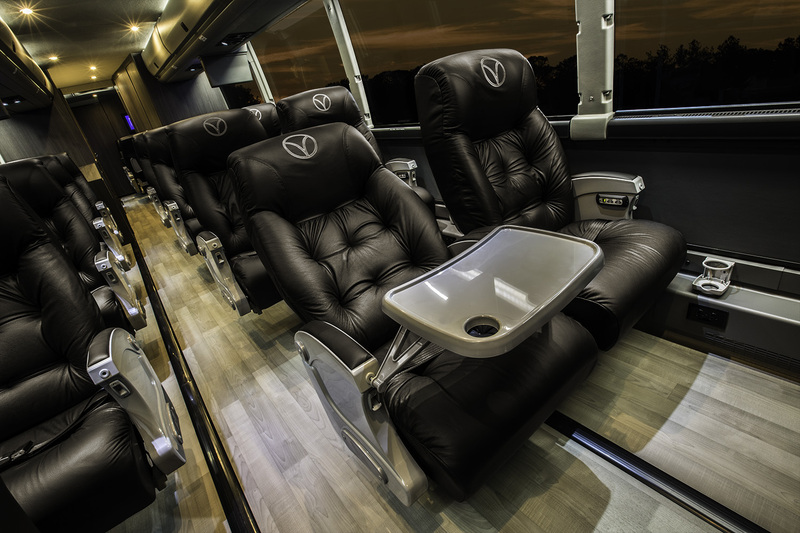 Vonlane provides high-end bus transportation between Dallas-Austin and Dallas-Houston, with service coming soon between Austin and Houston. The company is positioning itself as a premium-comfort, practical, efficient and cost-effective alternative to regional airplane flights. “People are tired of the hassle of the airport,” said Vonlane founder and CEO Alex Danza in a KRLD radio interview. His company offers an alternative. Parking, including valet parking, is available at Vonlane’s terminals, located at Doubletree Love Field (Dallas), Hyatt Regency Austin, and Sheraton North Houston at George Bush Intercontinental. The Dallas-Austin route is approximately 200 miles each way. A $200 round-trip fare providing reduced travel hassles and high-productivity opportunities seems very reasonable. The same goes for the Houston route, which is a bit longer at approximately 235 miles. Vonlane’s buses are configured with 16 main seats, plus another six in the private conference room. The cost to reserve the conference room is $399, which is an excellent value for rolling, team meetings of 4+ (essentially two free seats for a group of six). In his radio interview, Danza stated that Vonlane’s customer profile is 65% business travelers with the remainder leisure journeyers.